1. 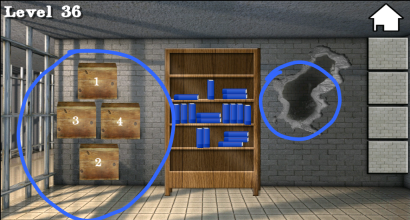 Look at the standing books on the bookshelf. The first row has 1, second row has 3 and 4, and the third row has 2. 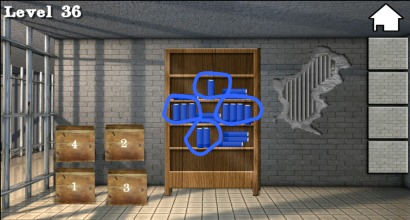 Move the boxes so 1 is on top, 3 and 4 are in the middle, and 2 is at the bottom. 2. Proceed to the next 100 Cells level!